Many parents and caregivers may be concerned about their child’s well-being, or may have a difficult time coping with a mental health concern of a child, young adult, or person they support. Families impacted by a mental health concern or diagnosis can find it particularly difficult to get the help they need. Parents and caregivers can drop into this group when they need some extra support. A peer facilitator will guide the conversation according to the needs of the participants. 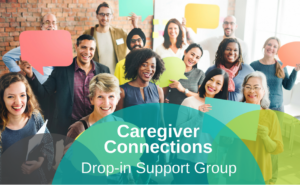 Each week the group will have the opportunity to explore relevant Caregiver Connections materials as well as identify issues and ask questions relevant to their own experience. A CMHA staff member hosting the group will be able to connect people to resources in our community. Parents and caregivers may attend as many sessions as they like. Tuesday evenings from 5:45 PM to 7:30 PM.The group does not meet the fifth Tuesday of the month or on statutory holidays. Call us or more information at 403-342-2266, or just drop by for the group meeting. Please be aware that the commissionaire locks the doors at 6 PM. If you arrive late, call us at 403-967-0311 and we will let you in. Sign up to receive news and event postings by email.